Photograph: Chelsee Lowe Koyasan Buddhist Temple. 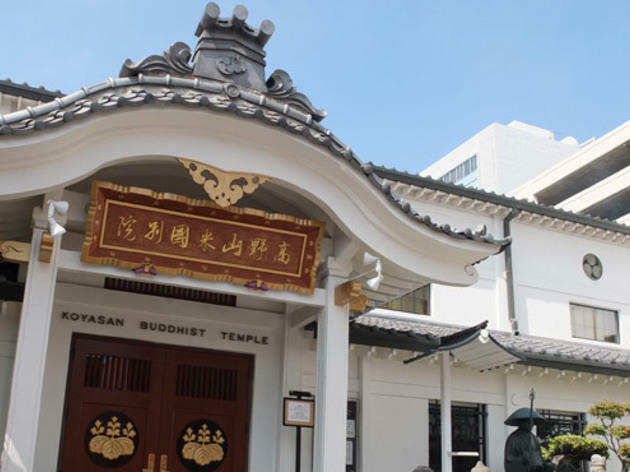 You won’t spot this Buddhist temple from First Street— it sits at the end of an unmarked alleyway. 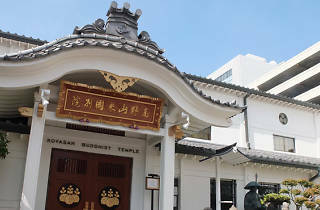 The religious organization’s roots date back to 1912, when its first alter was in a rented home in Elysian Heights, but the temple has attracted followers of the renowned monk Kobo Daishi since it settled in its Little Tokyo location in 1940. If attendance at Sunday services isn’t in the cards, take a peek inside the temple through the office door to the right of the main entrance. Ring the bell to announce your arrival and a blue-robed priest will greet you, guide you inside and lead an incense and prayer offering to the golden Buddha on the alter. Admission is free, but consider paying your respects with a donation in the large wooden offering box.